Posted on August 22, 2015 by Norwich Radical	in Arts and tagged amartya sen, anti capitalist, arab spring, babylon and beyond, banking crisis, book review, capitalism, derek wall, e f schumacher, economics, elinor ostrom, eurozone, feminist economics, green economics, Green Party, Naomi Klein, occupy, occupy movement, pluto press, review. The Occupy protestors were subject to all of the usual attacks and criticisms from conservative commentators and pundits and there was one thing that they all agreed on. It was easy to see what the protestors were against but much more difficult to find out exactly what they were for. There was no list of demands, no manifesto and no programme of action. Yet for many supporters of the Occupy movement this wasn’t a weakness but a sign of strength. It allowed diverse groups from environmentalists to socialists and anarchists to come together and draw attention to a problem that needed fixing, i.e. capitalism, whilst agreeing that there were many ways that could solve that problem. An awful lot has happened since then. This is the basic premise of this book, an updated edition of Babylon and Beyond which was published in 2005. An awful lot has happened since then. We’ve had a worldwide banking crisis; the Eurozone teetering on the brink of collapse; governments across Europe wedded to austerity and a widening inequality gap across Europe, North America and beyond. All of these are taken into account in this exploration of the various criticisms of, and alternatives to, capitalism. The Chinese military strategist, Sun Tzu, once said that “if you know your enemies and know yourself, you will not be imperilled in a hundred battles”. If you view yourself as an anti-capitalist then you clearly need an understanding of how capitalism actually works and how its supporters justify its workings. The first chapter of this book explores the economic orthodoxies of capitalism, globalisation and neo-liberal thought, especially those from the ‘Chicago School’ of economists. an exploration of those writers and thinkers who are broadly supportive of capitalism and globalisation but are critical of its “excesses”. From there the book then goes on to explore, chapter by chapter, different kinds of anti–capitalist movements and thinkers. It starts with an exploration of those writers and thinkers who are broadly supportive of capitalism and globalisation but are critical of its “excesses”. 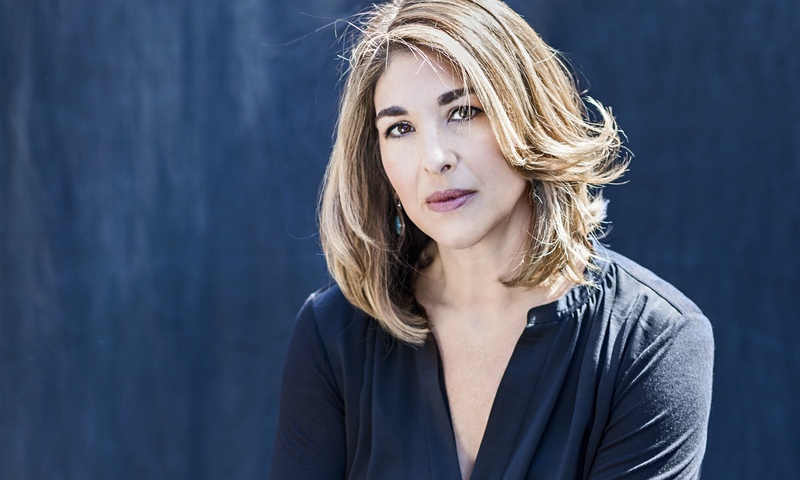 I was surprised to see the anti–globalisation activist Naomi Klein being put in this camp. I think that Naomi Klein has recently moved in a more radical direction than is suggested in this book. Her latest book This Changes Everything seems to put her much more firmly in the anti–capitalist camp. There are chapters which explore ‘classic’ green economics with its emphasis on a no–growth economy and alternatives to globalisation; alternatives to money–based economics such as social credit, positive money and the use of local currencies; Marxism in both an historical and contemporary context; autonomism and anarchism; the diverse strands of ecosocialism (especially in the developing South) and feminist economics (mostly through the work of Amartya Sen and Elinor Ostrom). Even though the book is thorough I thought that there were still a couple of gaps. Although the author does mention E.F. Schumacher and his Small is Beautiful: A Study of Economics as if People Mattered it is not given the prominence that it should, especially his chapter on Buddhist economics. There is also little on the rise of the ‘solidarity economy’ which has become more popular as people, especially among the Millennial generation, find creative ways to survive in a post–crash economy by sharing their skills and resources. He has read the writings of anti–capitalists so that you don’t have to. Throughout all of these chapters Derek Wall presents what are often fairly complex ideas into an easily accessible form. He has read the writings of anti–capitalists so that you don’t have to. As anybody who has tried to read Thomas Piketty’s Capital in the Twentieth-First Century or contemporary Marxist writers such as Michael Hardt will tell you, it’s useful to have a ‘primer’ like this book before going to the source. It’s pretty clear that the author has his own anti–capitalist preferences. He is a prominent member of the Green Party and is active within ‘Green Left’, a grouping of ecosocialists within the Green Party. Yet he should not be seen as doctrinaire. Like the Occupy protestors he sees the plurality of anti–capitalists as a strength to be drawn upon.